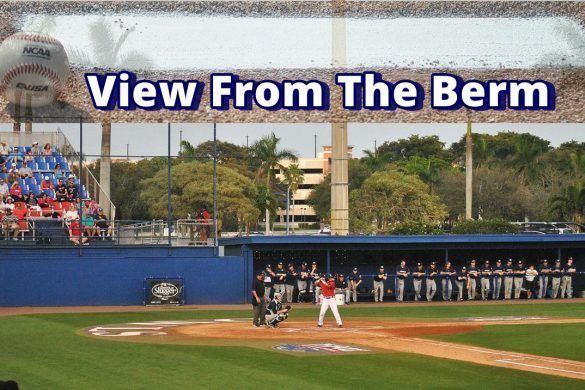 BOCA RATON – FAU enters its most important week of the season battling injuries, an under-performing pitching staff and, potentially, May malaise. “There is concern,” coach John McCormack said. The baseball season can begin to drag this time of year. Players are finishing exams. Fellow students are leaving campus for summer break. Yet three weeks remain in the regular season, with the C-USA Tournament to follow. McCormack wasn’t pleased with the preparation of his Owls this past week – nor with the results they produced. 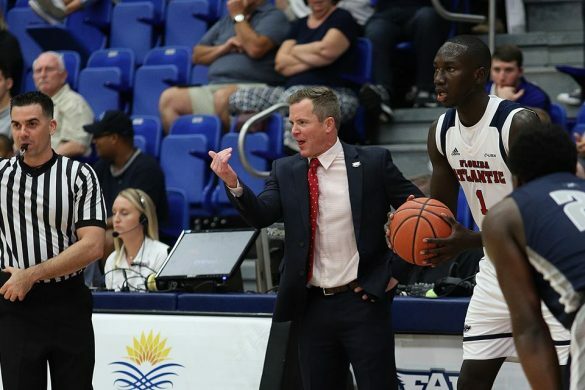 FAU dropped its midweek game against Florida Gulf Coast and lost two of three over the weekend against UAB – a team in the middle of the Conference USA standings. 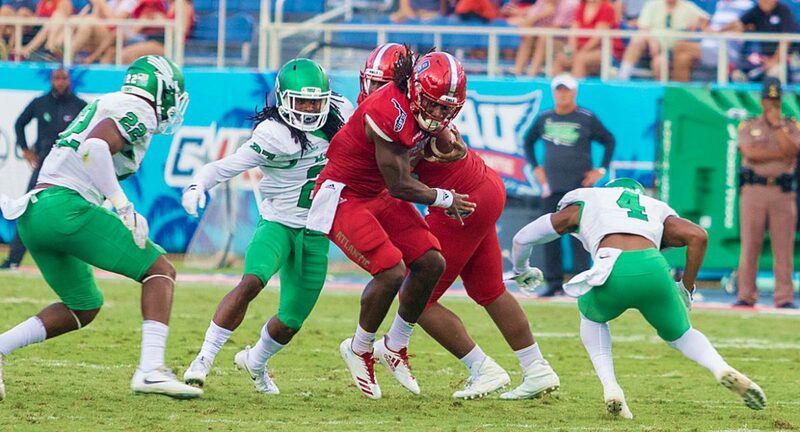 Those loses dropped FAU to third place in C-USA for the first time this season. 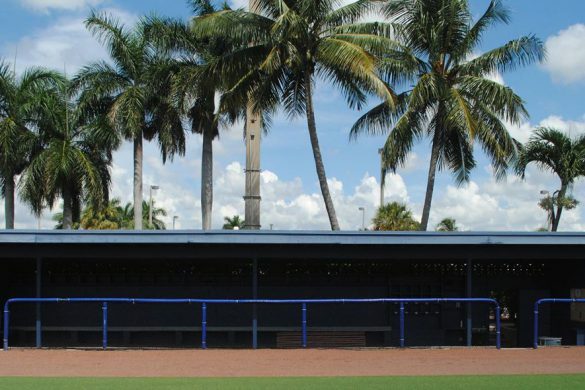 McCormack is considering shuffling bullpen roles during their all Florida week. 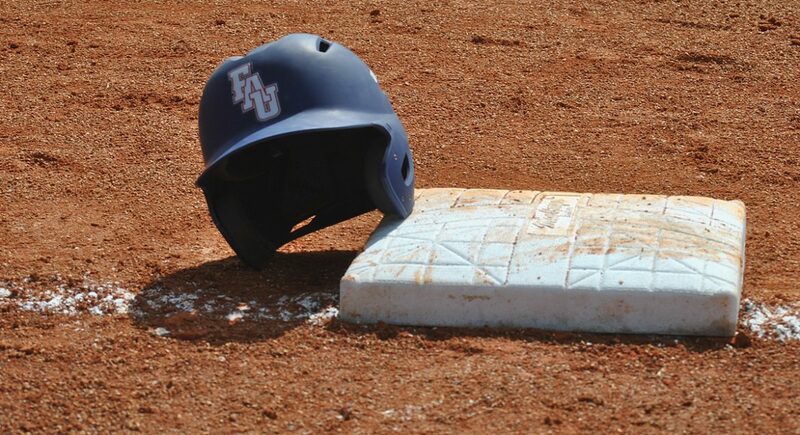 FAU heads to UCF on Tuesday before a weekend series at FIU. 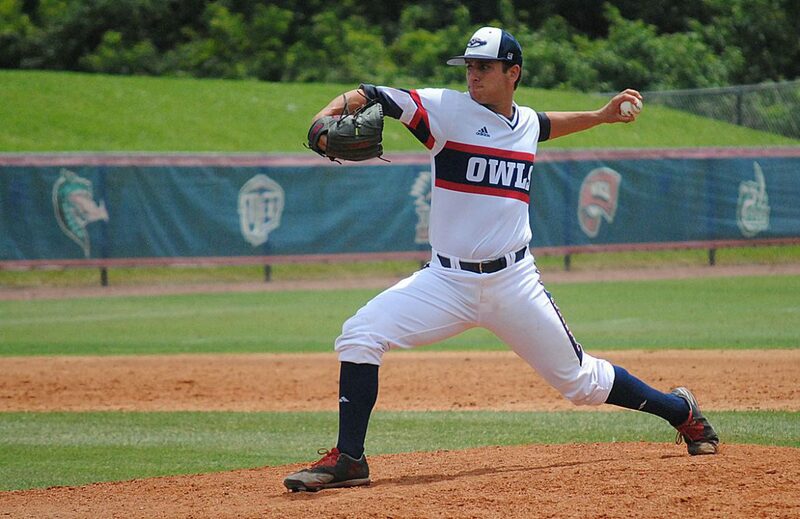 The Owls also continue to search for a Sunday starter. Mark Nowatnick missed Sunday’s start because of an oblique strain. On Sunday he played catch, but still experienced pain. Nowatnick only entered the weekend rotation after Kyle Marman’s season-ending injury. With Nowatnick unable to go on Sunday, Jordan Poore drew his second start – and it didn’t go well. He allowed five runs and didn’t record an out in the second inning. “I didn’t see that coming with Poore, I’ll tell you that,” McCormack said. 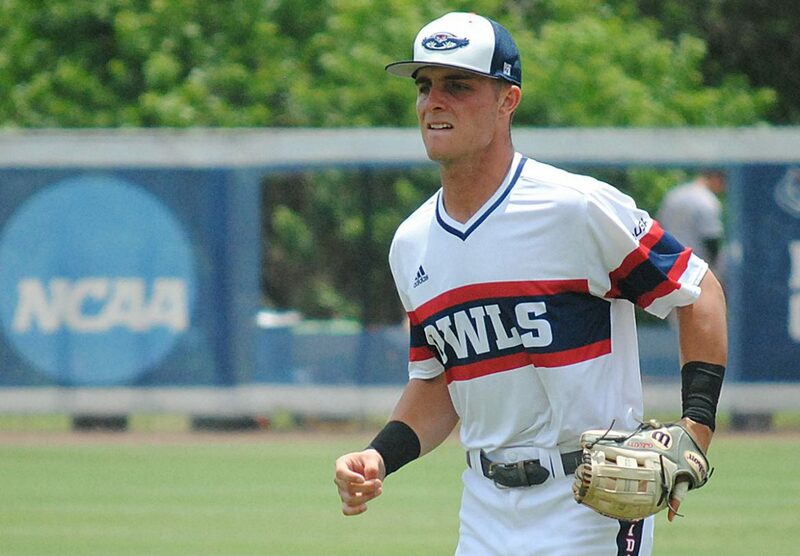 FAU is also facing the prospect of losing catcher Pedro Pages for an extended period of time after he injured his left wrist with a swing in Saturday’s first game. 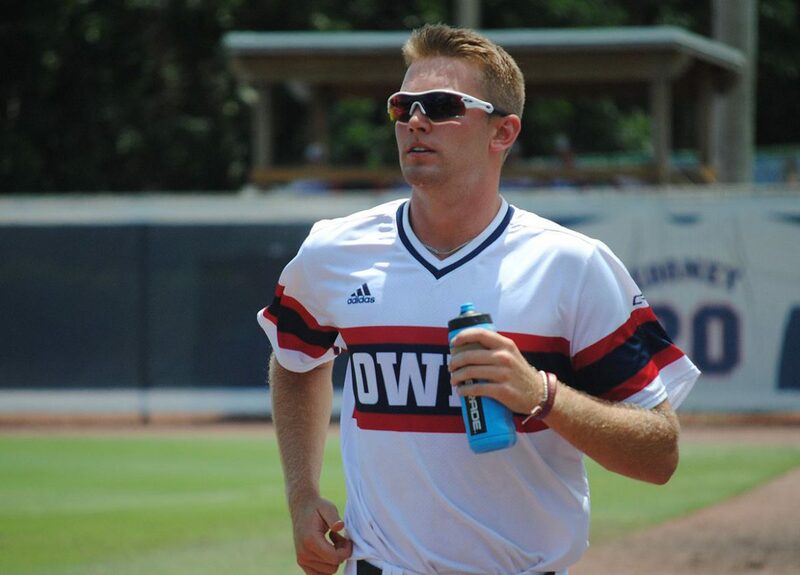 Second on the Owls with 31 RBI, Pages was scheduled to see a doctor on Monday. If the wrist is broken – which the Owls fear – his season is likely over. 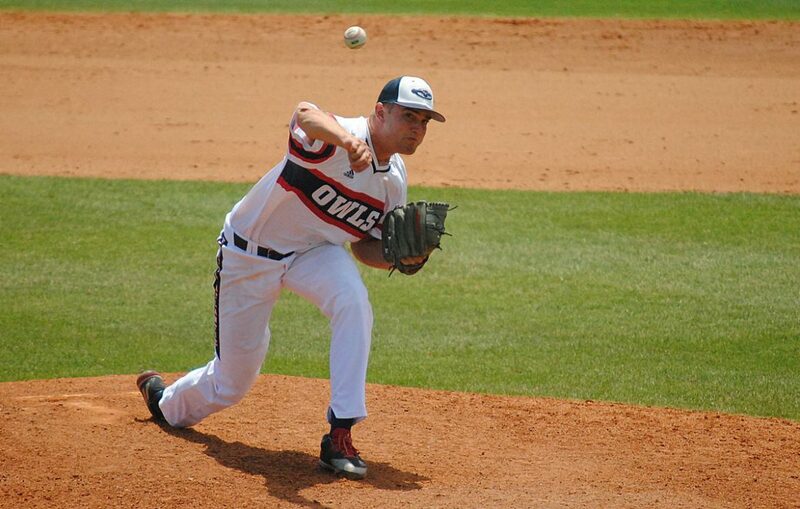 First baseman Gunnar Lambert caught the final innings of Sunday’s game and will serve as the Owls’ backup catcher, behind Kevin Abraham. 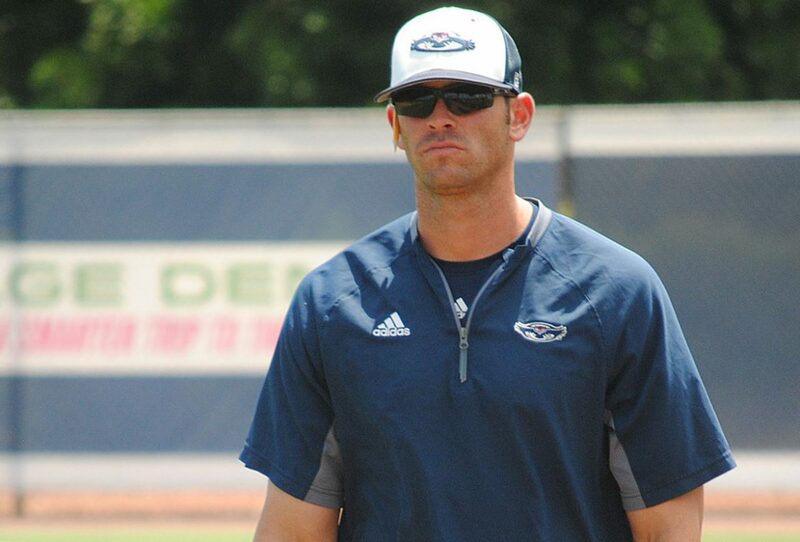 Lambert served as FAU’s primary catcher in 2016 while Abraham underwent cancer treatment, but didn’t play last season because of a knee injury. “His service has become a little bit more valuable right now if Pedro is out for a significant time,” McCormack said of Lambert. Regardless of who’s catching on Tuesday, sophomore righty Mike Ruff will get the start – although he may make that start in the bullpen, figuratively speaking. Ruff owns a 2.62 ERA on the season but he’s struggled in the first innings of his starts this season, posting a 5.40 ERA while walking seven in the first frame of his five starts. McCormack is toying with the idea of having Ruff pitch a simulated first inning in the bullpen prior to the start of the game. FIU (21-22, 10-11) enters the week tied for seventh in C-USA. 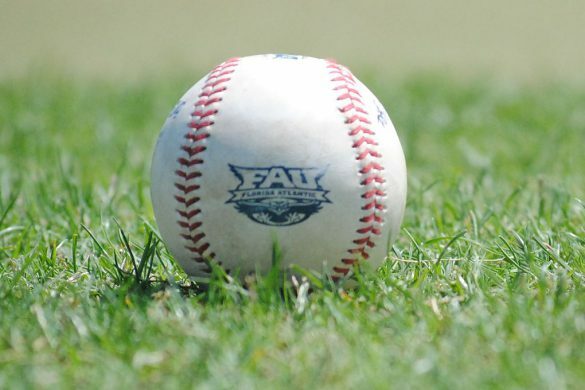 Should FAU’s pitching woes, and that May malaise, linger into another weekend, FIU is certainly capable of taking a couple games from the Owls. That would likely drop FAU’s RPI into the danger zone when it comes to NCAA Tournament condition. 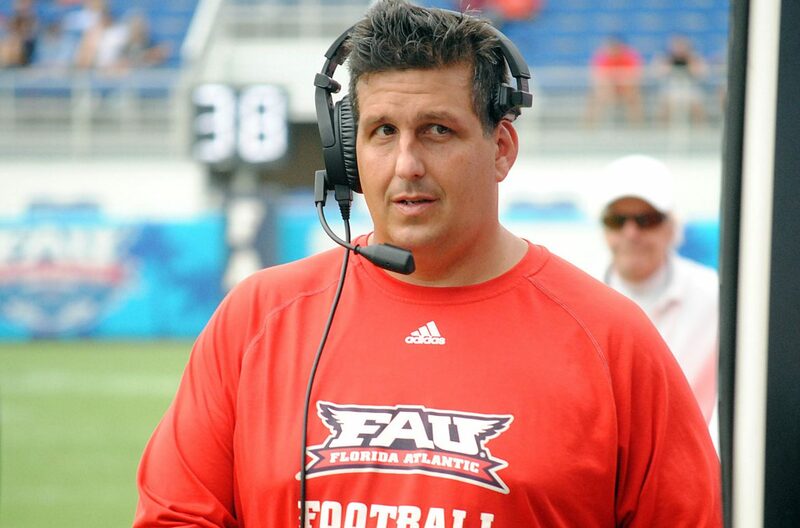 What can McCormack do to shake FAU out of its funk? 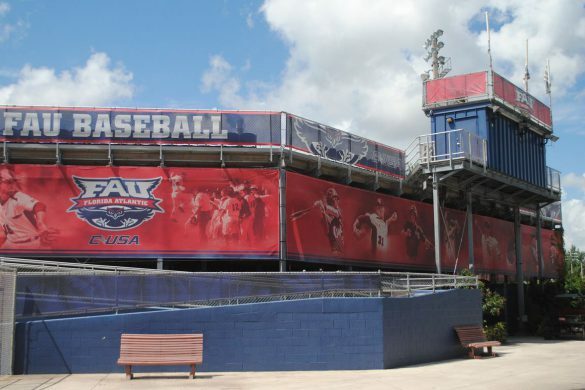 BOCA RATON – A bad weekend of baseball could get even worse on Monday when FAU will learn the extent of catcher Pedro Pages’ wrist injury. Pages suffered the injury during a swing in Saturday’s 8-2 loss to UAB. Pages homered to complete the at-bat, but left the game immediately thereafter. He didn’t play in Sunday’s series finale – a 12-5 FAU loss, watching the game in street clothes with his wrist immobilized by a soft cast. The fear is that Pages may have broken a bone in his wrist. If that’s the case, he could miss the remainder of the season. Any time missed by Pages would be a blow to FAU both offensively and defensively. 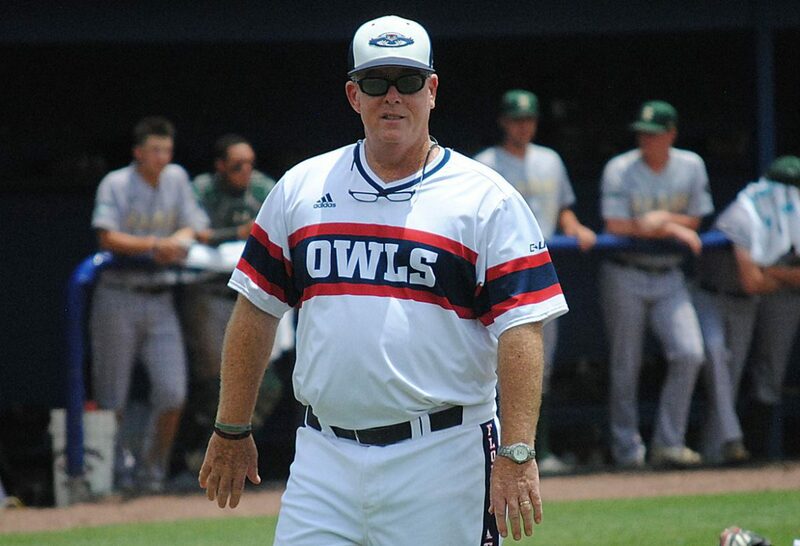 He’s currently hitting .312 with four homers as the Owls’ cleanup hitter. 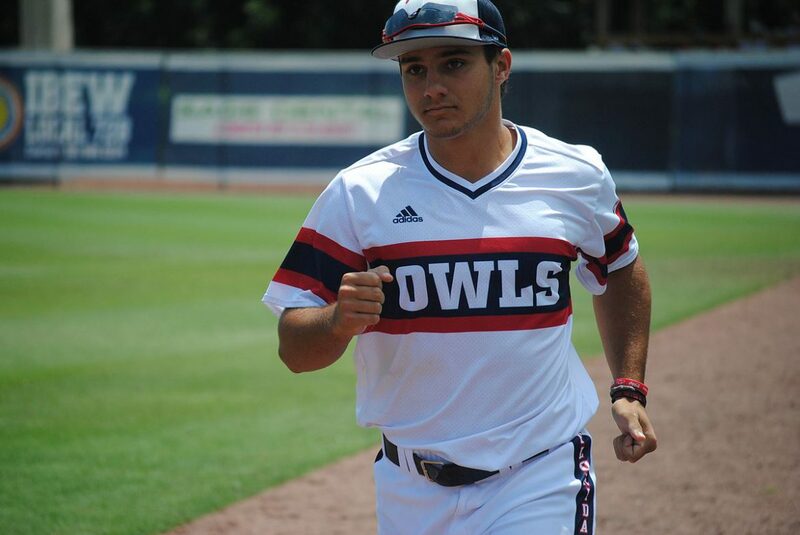 Pages’ 31 RBI trail only Eric Rivera among Owls. Defensively, Pages showcases a strong arm behind the plate that limits opponents’ running game. Kevin Abraham replaced Pages on Saturday and drew the start on Sunday. Gunnar Lambert relieved him behind the plate in the final innings, his first time catching in two seasons. FAU fell out of Sunday’s game early. Starter Jordan Poore surrendered five runs and didn’t record an out of the second inning. Marc Stewart followed, allowing five more runs in 1 1/3 innings. 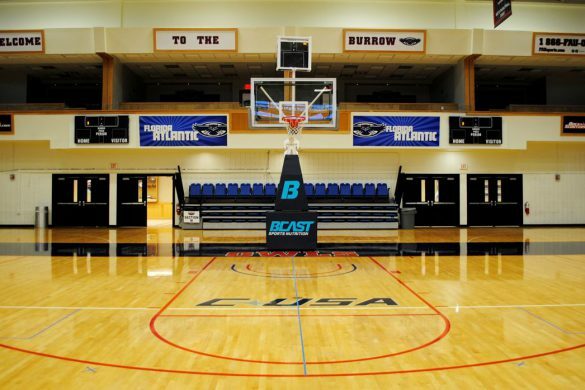 The series loss is FAU’s second in Conference USA play. 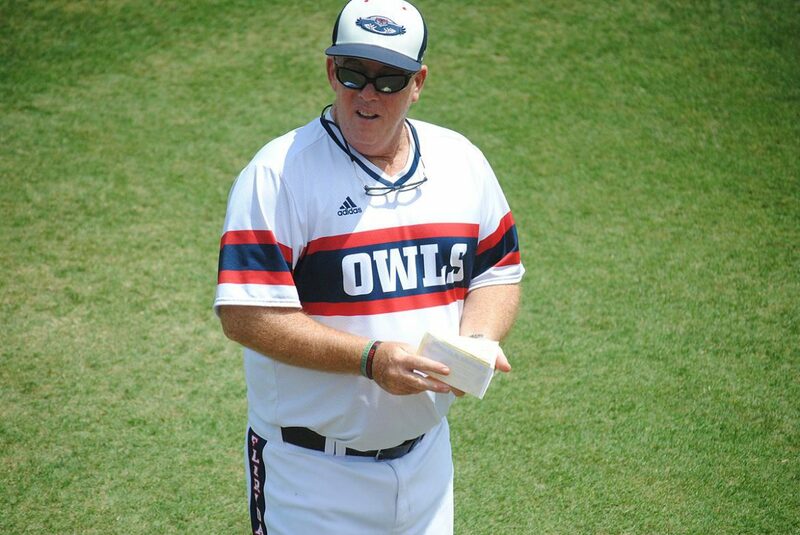 The Owls also dropped two of three from Southern Miss, which began the weekend tied with FAU a atop C-USA, but now holds sole possession of first place. Moving Forward: Designated hitter Jared DeSantolo went 4-for-4 with two RBI and a run scored. 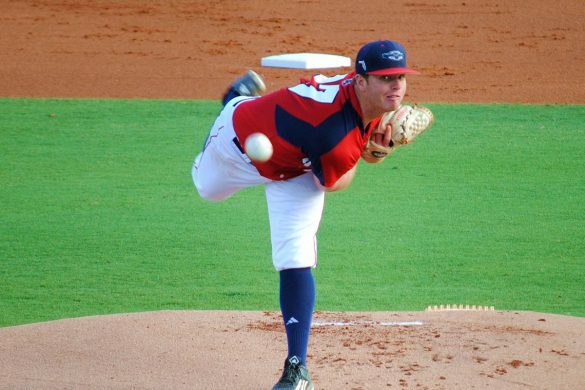 Reliever Nick Swan momentarily halted UAB’s momentum with 1 2/3 scoreless innings. 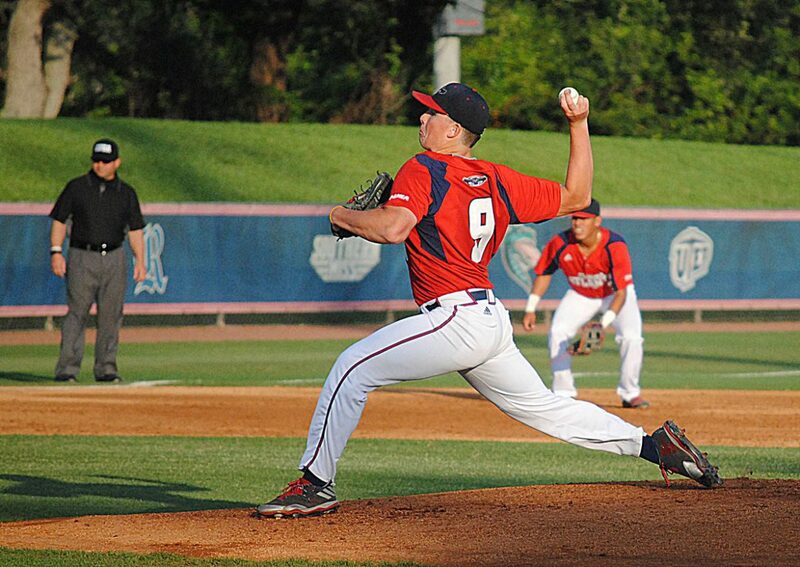 …Reliever Chris Moore tossed two shutout innings. 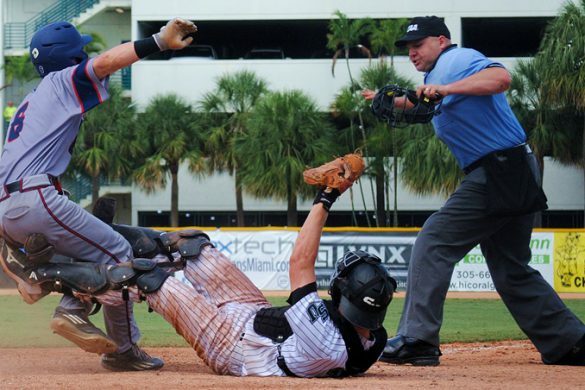 Sliding Backward: Richie Nizza struck out in both of his official at-bats, with one punchout coming with the bases loaded in the third, ending an FAU rally. 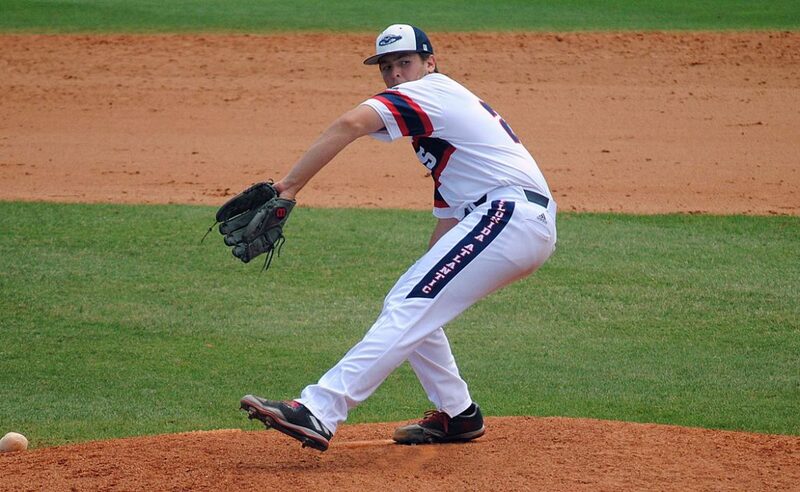 …Jared Poore allowed six hits and walked one in 1-plus innings. 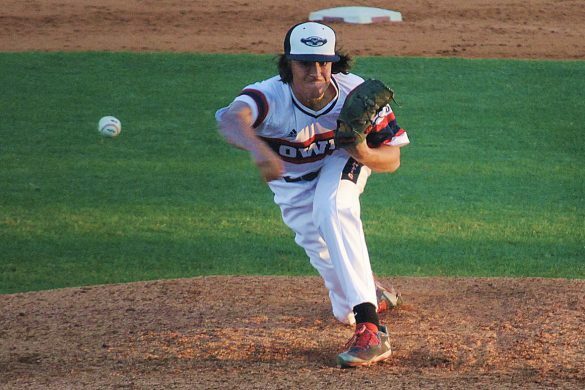 …Marc Stewart surrendered five runs on four hits in 1 2/3innings. 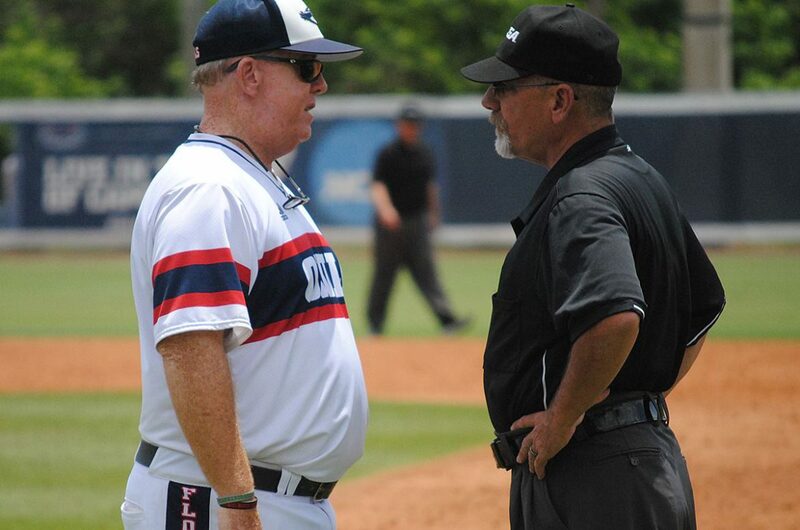 …FAU has lost three of its last four games. Key Stat: 11 – hits for UAB in the first three innings. 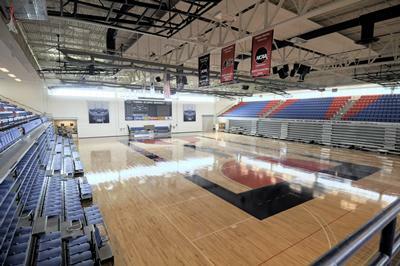 The Blazers finished with 17 – the most allowed by FAU in a single game this season. Up Next: FAU travels to Conference USA on Tuesday for a 6:30 first pitch. 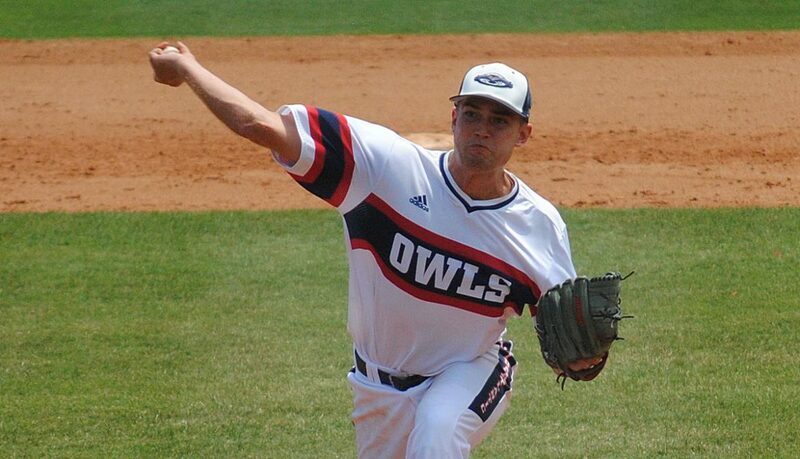 Mike Ruff will get the start for FAU. 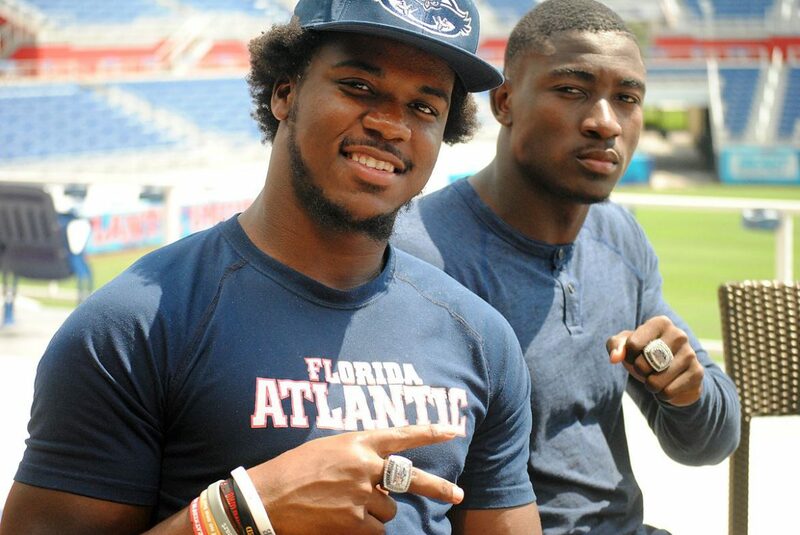 BOCA RATON – FAU RB Buddy Howell and kicker Greg Joseph have signed free agent contracts with the Miami Dolphins. “It’s a good feeling to be able to stay home and showcase my talents once again,” Howell said. Howell averaged a team-high 6.6 yards per carry en route to 740 yards and five touchdowns last season as Devin Singeltary’s backup. During his career the Coral Gables product rushed for 2,419 yards and 22 scores. At 6-foot-2 and 219 pounds, Howell is a big back capable of taking an NFL pounding. He’s also faster than he looks, as his 4.51 time in the 40 attests. No FAU players heard their names called during this weekend’s draft. Once the draft concludes, all undrafted players become free agents and can sign with any interested team. Miami representatives reached out to Howell before the draft concluded to tell him they were interested in bringing him to camp as a free agent. The Seattle Seahawks showed similar interest. “It was a pretty easy decision to stay home,” Howell said. Seattle invited FAU wide receiver John Franklin and guard Jakobi Smith to its upcoming rookie camp. Wide receiver Kalib Woods has a tryout with the Kansas City Chiefs, his agent tweeted. Fellow wide receiver Karmin Solomon has a tryout with Jacksonville. Franklin said his agent is still talking with multiple NFL teams in hopes of landing a free agent contract. A former quarterback, Franklin transferred to FAU from Auburn during fall camp. Franklin ran a 4.4 40-yard dash at FAU’s pro day (some clocked him in the high 4.3s). 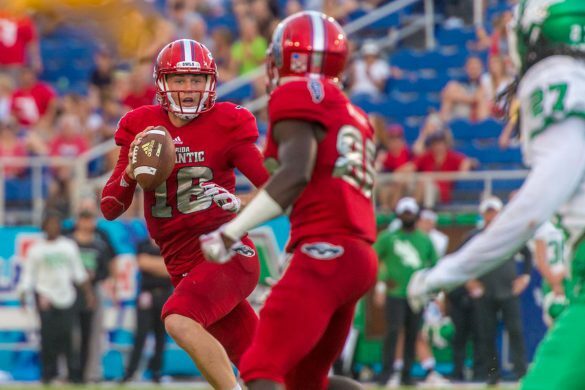 During his lone season at FAU, the former quarterback caught seven passes for 95 yards and a touchdown. He also carried the ball 16 times for 242 yards and two scores. Smith won a fall camp battle with William Tuihalamaka for FAU’s right guard spot, then started every game last season. At 6-foot-3 and 311 pounds, Smith has good college size. Smith benched 225 times 31 times during FAU’s pro day. Woods missed the first half of FAU’s 2017 season after being charged with two counts of felony battery for his role in an off-campus fight. 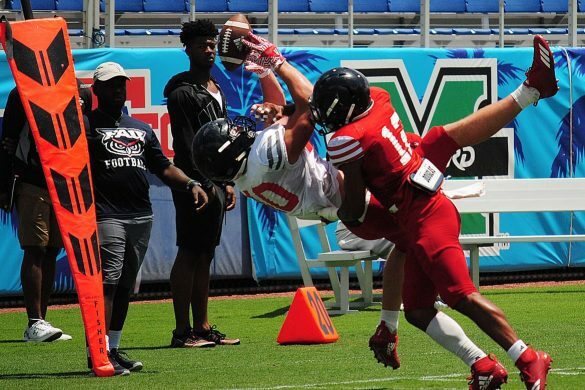 Once FAU lifted the suspension, Woods caught 24 passes for 619 yards and four touchdowns..
At 6-foot-3 and 189 pounds, Woods had long flashed big play ability during practice. This season he made plays in games, too. Woods ran a disappointing 4.55 in the 40 during FAU’s pro day. 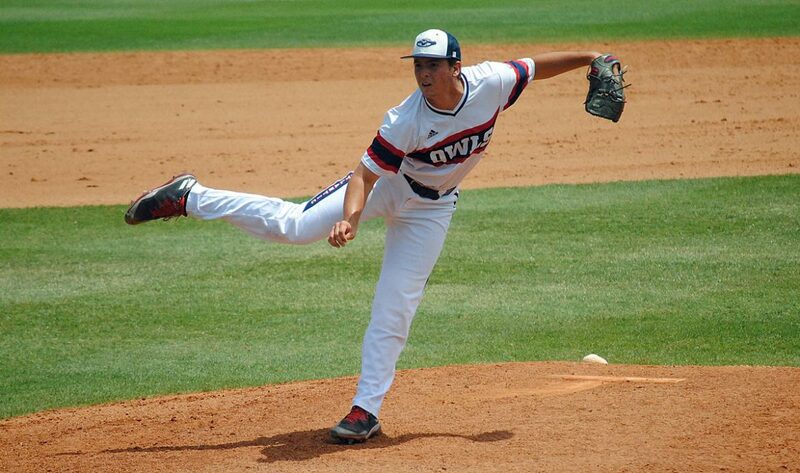 FAU split a doubleheader with UAB on Saturday, winning the first game 5-2 before falling 8-2 in the second. 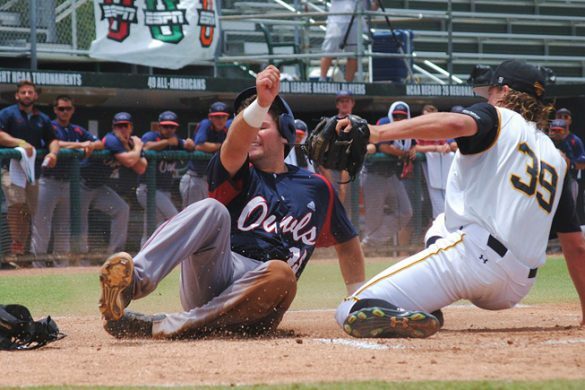 The loss dropped FAU from a tie for first place with Southern Miss. After missing last week’s start because of a sore shoulder, Jake Miednik allowed two runs over seven innings, improving to 8-1 on the season. Pedro Pages’ three-run homer in third inning proved to be the big blow in the first game. 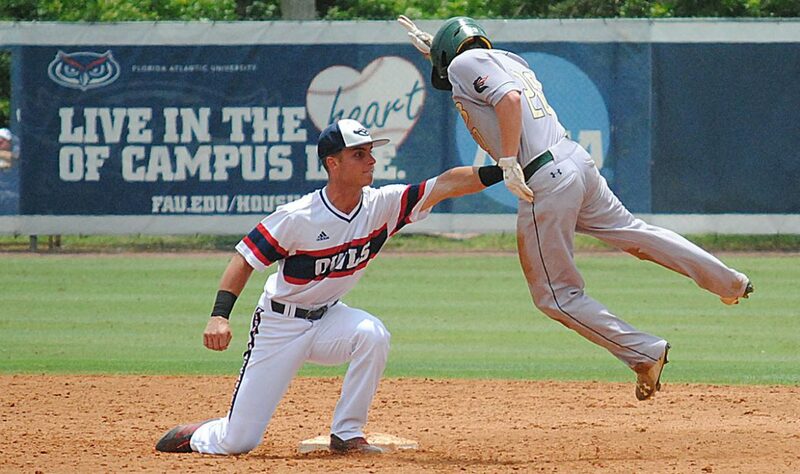 UAB jumped on FAU starter Vince Coletti for four early runs in the second game. Moving Forward: Joe Montes and David Miranda enjoyed multi-hit outings in Game 1. Closer zach Schneider recorded his 13th save by retiring the side in order in the ninth. 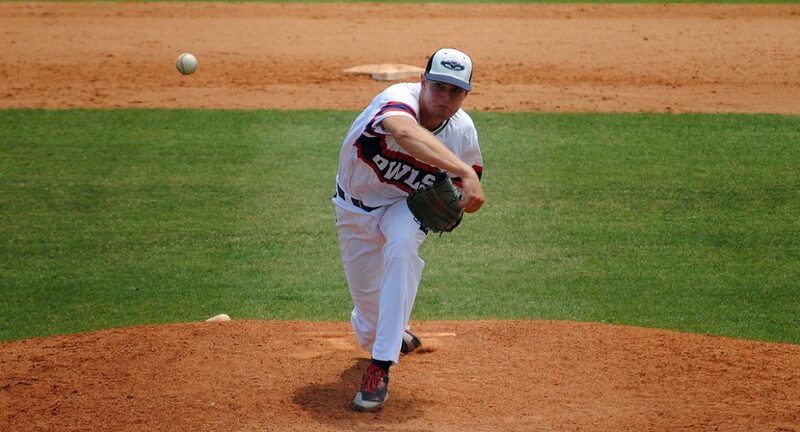 …Gunnar Lambert (2) and Richie Nizza (3) combined for five of the Owls’ eight hits in Game 2. Sliding Backward: Cody Wilson’s 16-game hitting streak came to an end with a 0-for-3 outing in the second game. …Reliever Weston Clemente’s struggles continued. He allowed hits to both batters he faced, with one of them scoring. Key Stat: 36 – consecutive games in which Tyler Frank had reached base before failing to do so in the second game. 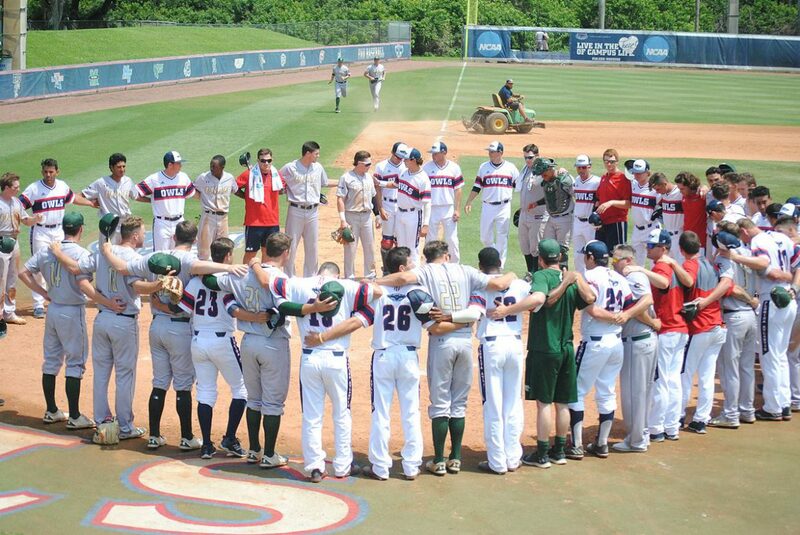 Up Next: FAU will try to win the series from UAB on Sunday. First pitch has been moved to 11 a.m.
BOCA RATON – It wasn’t all that long ago that this figured to be a life changing weekend for Raekwon Williams. 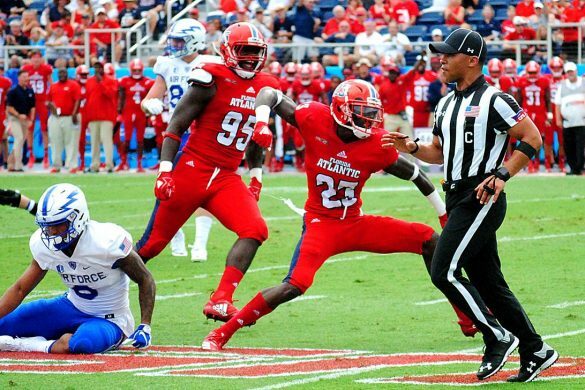 The FAU cornerback appeared destined to be the next in a line of FAU cornerbacks to continue his football career in the NFL – likely as some team’s draft choice. An injury forced a detour into Williams’ life plan, however, rendering him a hope-filled spectator for this weekend’s NFL Draft. “I know everything happens for a reason,” Williams said. During an October bye-week practice, a teammate fell on Williams’ legs, destroying his right knee. The injury ended his FAU career, but successful surgery kept Williams’ NFL dreams alive. “Hard times don’t last forever and the film don’t lie,” Williams said. FAU’s most complete corner last season, the 5-11, 185-pound Williams’ has the speed to cover smaller receivers, the strength to jam bigger receivers and enough length to disrupt plays. As a junior Williams recorded 48 tackles and a pick. Last year he added 25 more tackles and one interception in eight games. The injury kept Williams from participating in the speed and agility portions of FAU’s pro day. Though doctors tell Williams his rehab is slightly ahead of schedule – he’s already running and will begin drills that require change of direction in the coming weeks – he doesn’t expect to be 100 percent healthy until August – well after NFL teams hold their rookie camps and OTAs. Expectations of being drafted exited Williams’ head a while good. There is some hope than an NFL team will have seen enough from his play the past two seasons to sign Williams as free agent immediately following the draft, ensuing they have first shot at his services once healthy. Most likely, however, Williams will need to prove he moves like he did prior to the injury before an NFL team will make its move on him. During the process, Williams leaned on the support of former Owl defensive backs Cre’von LeBlanc, Sharrod Neasman, D’Joun Smith and Damian Parms – all of whom are either current or former NFL players. “All those guys are like big brothers to me,” Williams said. Williams still expects to get a chance to join his former teammates in the ranks of professional football players. That likely won’t happen this weekend, but Williams says when his shot comes, he’ll be ready. “Once I get the opportunity, it’s going to be a show,” Williams said. BOCA RATON – NFL teams selected seven FAU players in the NFL draft since 2010. 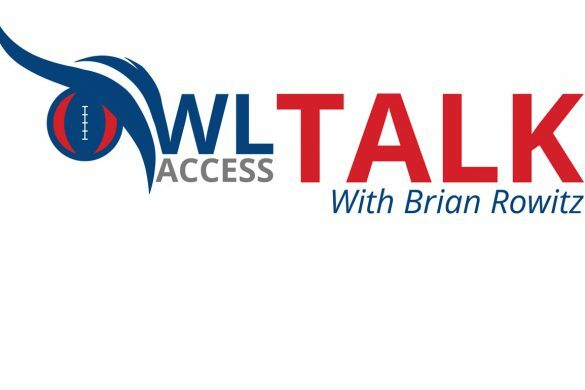 It is unlikely that number will grow to eight this season, but that doesn’t mean a handful of Owls won’t get their opportunities to land in the League. 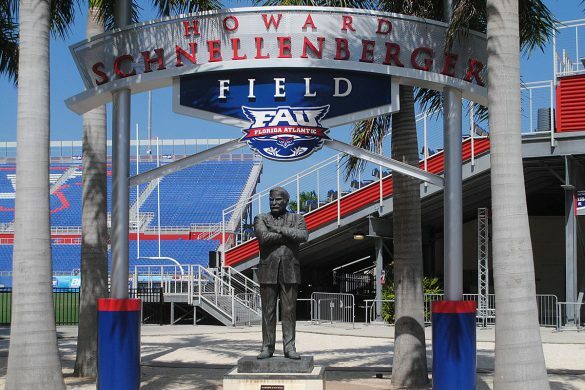 A couple FAU players could be selected late on Saturday. Action should pick up in the hours that immediately follow when NFL teams begin signing undrafted players to free agent deals. Which players are most likely to extend their playing careers? Glad you asked. WR JOHN FRANKLIN: He has speed – that is unquestioned. And NFL teams are always looking for speed. Franklin, however, has yet to consistently convert that speed into big plays. 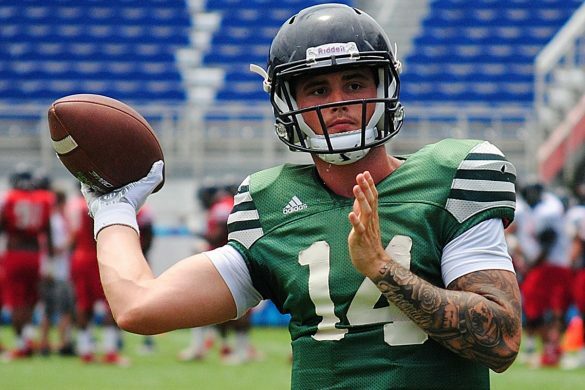 During his lone season at FAU, the former quarterback caught seven passes for 95 yards and a touchdown. He also carried the ball 16 times for 242 yards and two scores. Franklin ran a 4.4 40-yard dash during pro day (some clocked him in the high 4.3s) and his agents are telling him to be prepared on Saturday. “It’s the speed fact and the production I had when I had the ball in my hands, really,” Franklin said. Expectation: In year’s past NFL teams might have drafted Franklin based solely on his speed, thinking he could return kicks – and anything else they get from him would be gravy. With the NFL de-emphasizing kickoffs, and perhaps moving to eliminate them altogether in the future, those days are gone. Franklin hasn’t shown better than average hands or route running ability, but some team will likely sign him as an undrafted free agent to see if they can develop him. WR KALIB WOODS: Woods missed the first half of FAU’s 2017 season after being charged with two counts of felony battery for his role in an off-campus fight. Once FAU lifted the suspension, Woods caught 24 passes for 619 yards and four touchdowns.. Expectation: With the felony charges still hanging over his head – his next court appearance is scheduled for May 21 – there isn’t much of a reason for NFL teams to go out on a limb for Woods. At least not during the draft. He’ll likely go undrafted, but could still find his way into some teams camp as a free agent. RB BUDDY HOWELL: If not for the emergence of Devin Singletary, Howell might be the biggest FAU prospect in this class. Even with Singletary as the primary back, Howell still averaged a team-high 6.6 yards per carry en route to 740 yards and five touchdowns last season, and during his career Howell rushed for 2,419 yards and 22 scores. Expectation: The way NFL teams race through running backs, Howell will get a shot. History suggests that Howell makes the most of his chances. “Honestly you’ve just got to make the most of your opportunity when it’s presented,” Howell said. C ANTONYO WOODS: His conversion to center didn’t begin smoothly, but Woods’ snaps stabilized when he changed the way he gripped the football. Woods is strong, benching 225 pounds 26 times, and smart. He hopes to become a doctor after the conclusion of his football career. Three teams have contacted Woods over the past weeks for phone interviews. Expectation: At 6-foot-1 and 300 pounds, Woods isn’t the biggest lineman available, but his combination of strength, mobility and intelligence make for a player who can contribute in the proper setting. DT JEREMIAH TALENI: Unlike nearly everyone on this list, Taleni’s highlight reel boasts numerous plays against Power 5 conference teams. He was slated to be a starting defensive tackle for Pitt before getting into trouble and transferring to FAU as a graduate student this past summer. 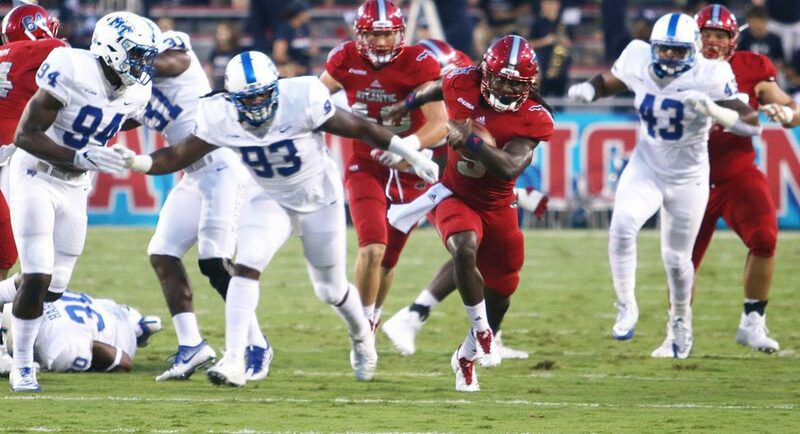 Taleni solidified the middle of FAU’s defensive line and five of his 32 tackles were sacks. During FAU’s pro day Taleni bench pressed 225 pounds 20 times. Expectation: At a smidge taller than six feet and only 275 pounds Taleni is small compared with other defensive tackle prospects. Will his quickness be enough to impress scouts? His play at Pitt may help land a camp invite, but Taleni will need to add muscle mass. He might be a good candidate for a stint in the CFL. G JAKOBI SMITH: Never the best practice player, Smith was at his best during games. At 6-foot-3 and 311 pounds, Smith has good college size but there are significantly bigger players who will be candidates for the same job. Smith benched 225 times 31 times during FAU’s pro day. Expectation: Smith plays mean, which NFL scouts will like. He’s disadvantaged by not having much video of himself against Power 5 schools. He may receive an invite for a camp tryout. G ROMAN FERNANDEZ: A former walk-on, Fernandez made the most out of his collegiate career. He started every game at left guard as a senior. The 33 times Fernandez benched 225 pounds at pro day were the most of any FAU player. Like with Antonyo Woods, NFL teams will appreciate Fernandez’s intellect. Expectation: Fernandez packs plenty of power into his 6-foot, 316-pound frame. A wingspan of less than 75 inches might be what keeps Fernandez’s phone from ringing. DE HAIDEN NAGEL: Another walk-on who made the most of his opportunities, Nagel started four games as a senior and recorded 17 tackles during FAU’s run to the Conference USA championship and the Boca Raton Bowl title. At 6-foot-2 and only 242 pounds, Nagel says NFL teams view him as a linebacker at the next level. He’s also drawing interest from CFL teams, who like him at defensive end. Expectation: Nagel lined up at defensive tackle and defensive end during his career, so he offers versatility, but a 5.03 40 time suggest learning to play outside linebacker at the NFL level may be a challenge. Nagel would jump at a chance to play in the CFL. If there’s a next step, that’s likely it. WR KAMRIN SOLOMON: Loaded with athleticism, Solomon ran an exceedingly slow 4.66 at FAU’s pro day. Suspended early in the season for his role in the Kalib Woods incident, Solomon was second on the Owls with 33 catches, though they only covered 11.8 yards per reception. Slated to be the Owls’ starting slot receiver, Solomon lost that job to true freshman Willie Wright. He did end the season as a starter on the outside. Evaluation: As alarming as that slow 40 time is, NFL teams may figure that Solomon plays faster than he tests. Still, they probably won’t ignore his propensity for dropped passes and the tendency to disappear in crunch time. His involvement in the Woods affair won’t help. An NFL team might take a chance on Solomon’s athleticism – he displayed a 35-inch vertical leap at pro day – but Solomon’s skills can be found in dozens of wide outs who played Power 5 football. K Greg Joseph: Kicker or punter is arguably the toughest spot to land in the NFL. Teams almost never carry more than one kicker at a time, leaving only 32 kickers employed at any given time. Scouts will be impressed with Joseph’s leg, noting that the vast majority of his kickoffs went for touchbacks last season. 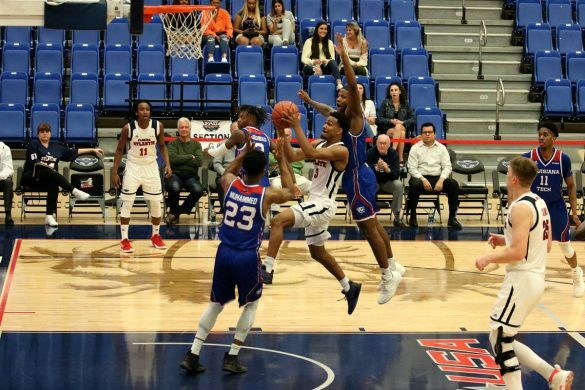 FAU’s all-time leading scorer, Joseph only made 15 of his 21 field goal attempts in 2017. Expectation: FAU’s Dalton Schomp led the nation in punting three seasons ago and couldn’t find his way to an NFL roster. Joseph has the leg to kick in the NFL. The Miami Dolphins need a kicker and reportedly have shown interest. Maybe he’s one of several kickers invited for a camp tryout. CB RAEKWON WILLIAMS: He sure looked like an NFL corner in the first half of the season. Williams, however, saw his season end prematurely when he suffered a knee injury during a midseason practice. Williams has yet to completely heal from knee surgery, but says he rehab is going well and he’s ahead of schedule. As a junior Williams recorded 48 tackles and added a pick. Last year he added 25 more tackles and one interception in eight games. Expectation: Some team may elect to scoop up Williams immediately after the draft, but it’s most likely that Williams will have to prove he is healthy before a team will sign him. Williams says he’s not expected to be 100 percent healthy until August. Interest on him should pick up around then. BOCA RATON – Two offensive linemen overcoming separate challenges may find themselves fighting for one starting spot come the fall. 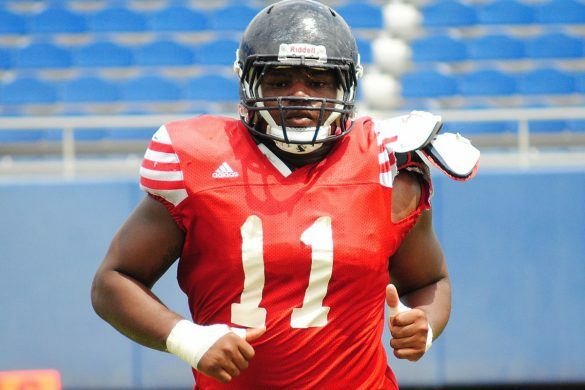 Former guard Tarrick Thomas showed his versatility by moving to center in the spring, but with the emergence of left guard BJ Etienne and the arrival of center Junior Diaz, a Tulane graduate transfer, such versatility could leave Thomas as the Owls most valuable reserve offensive lineman. On the right side, William Tuihalamaka, a transfer from San Diego St., lost the starting job for much of the spring to walk-on Nick Weber before reclaiming it in the final week of spring. 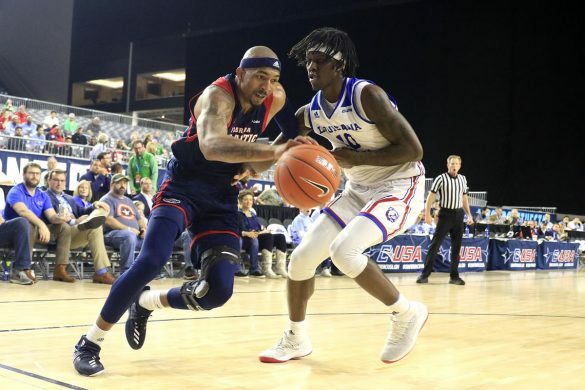 Junior college transfer Marcel Southall will begin his FAU career on the offensive side of the ball and current Florida guard Antonio Riles could still transfer to FAU as a graduate student. 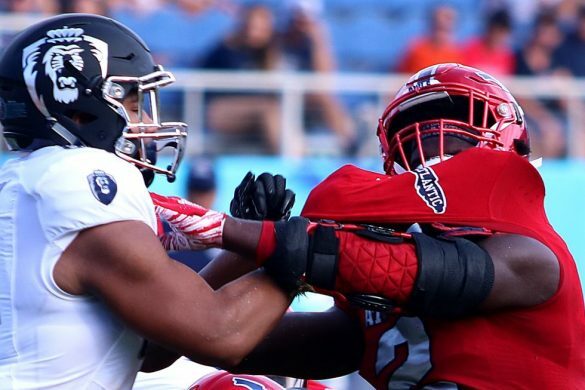 Both figure to factor into FAU’s interior offensive line equation. Kiffin’s first chance to evaluate his options came this spring while two key components were learning on the job. Despite never having played on the inside before, Etienne was anointed the first-team left guard from day one of spring practice. The ability to prepare as a starter from the onset of camp gave Etienne precious repetitions which helped polish his game quicker than expected. “That was the best thing for me honestly, because in high school it happened sort of just like that,” Etienne said of his immediate insertion to the first-team. First year offensive line coach John Garrison worked with Etienne on fixing his pass sets, head placement, and most importantly his footwork. Etienne’s run blocking steps were inconsistent as a freshman, his first being too wide and his second too long. A wide first step puts an offensive lineman off balance, making it difficult to maintain leverage and generate push off the line of scrimmage. Going too long on the second step – which is supposed to be directed to the center of the defensive lineman – will cause the offensive lineman to over commit to one side, allowing penetration to the opposite side. Garrison helped Etienne break those bad habits and the results have paid dividends with the 6-foot-3 295-pound sophomore delivering a standout performance this spring – doing so against the first team defensive line, arguably the best unit on the Owls. “I cleared up a lot of those things so I feel like I had a good spring,” Etienne said. Once Etienne cleaned up his footwork and combined that with the athleticism and power he has relied on in the past, his game evolved. That evolution helped him clear the mental hurdle of realizing he belongs at the Division I level. The 6-foot-4, 280-pound Thomas had to deal with an even steeper challenge this spring. Though Thomas did try some snaps at center during fall camp last season, his primary position was guard. Converting to center from guard is a huge adjustment. Thomas, a redshirt junior, went from only having to focus on his assignment and steps to now being responsible for snapping the ball accurately, identifying linebackers, and being the lead communicator on the line. Although Thomas said snapping the ball has become “second nature” to him now, the actual snap is only half the battle. The time frame of hesitation that comes with directing attention to the snap puts centers at a disadvantage compared to the rest of the line. Learning how to shorten that time frame and making the snap simultaneous with the first step is something players new to the position take a long time to master. Because of that learning curve Thomas said he is more comfortable at guard than center, but his ability to play all three spots on the interior will make him a valuable plug-and-play swing lineman. “Where ever they put me at I will do my best to compete,” Thomas said. The interior offensive line had very little depth this spring but that will change very soon. With new additions in Diaz and five offensive line signees, the growth of Etienne and Weber, and the veteran presence of Thomas, expectations will be justifiably raised for the group. 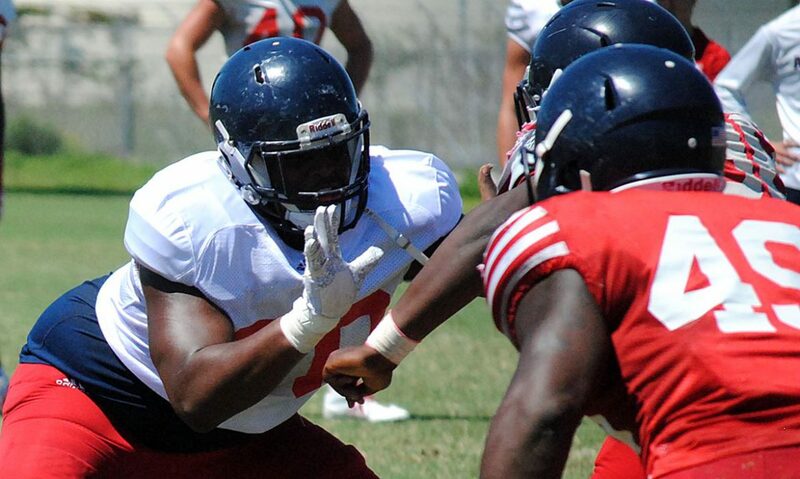 FAU relies on its ground game offensively and that starts with the three interior linemen up front. After an up-and-down showing this spring the group is ready to flip the script come fall. “It just motivates us to get better and know we have to pick our weight up and carry the team.” Thomas said. 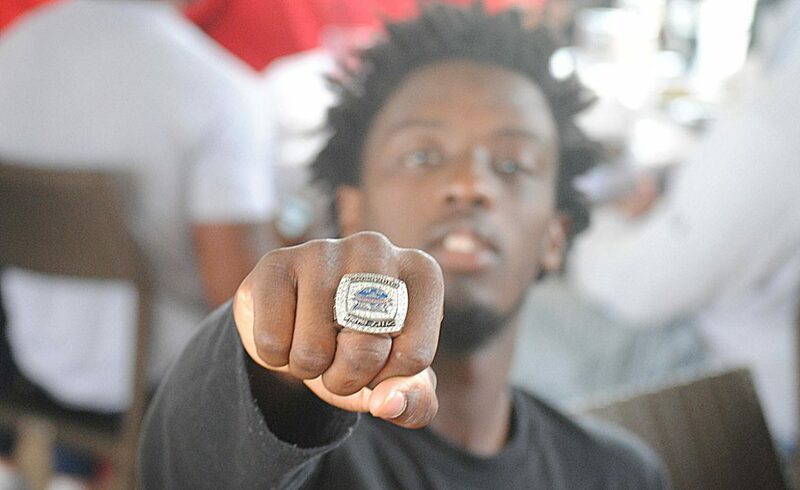 BOCA RATON – FAU football players received their Conference USA championship rings during a steak and beans lunch at Howard Schnellenberger Field on Tuesday. By virtue of their 20-14 victory, members of the Red team – mostly the first-team defense and the second team offense – dined on steak and sides. The White team was relegated to what strength coach Wilson Love referred to as “the beanie weenies.” – hot dogs and baked beans. The meal’s satisfied, but the rings were cause for celebration. 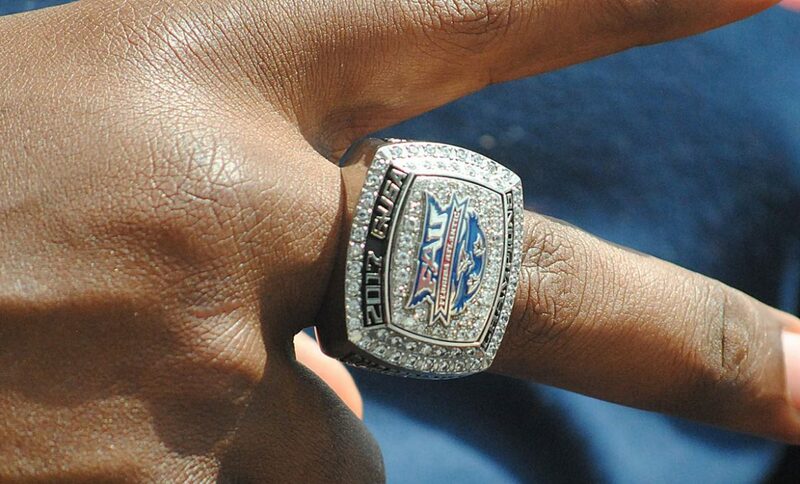 The silver rings studded with crystals resembling diamonds contained the FAU logo in the middle with the words “2017 C-USA” above the logo and “Champions” below it. Each ring also featured the player’s name and number on one side and the Boca Raton Bowl logo with the Owls’ 11-3 record beneath. 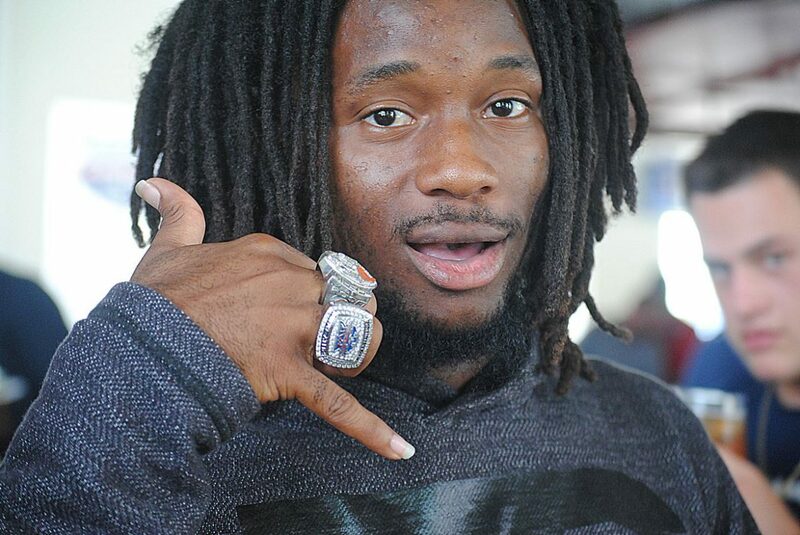 Hunter Snyder isn’t satisfied with FAU football’s first conference championship ring in 10 years. Al-Shaair and Snyder are part of a defense that returns 10 starters. That defense pressured quarterbacks and denied rushing lanes throughout the spring. 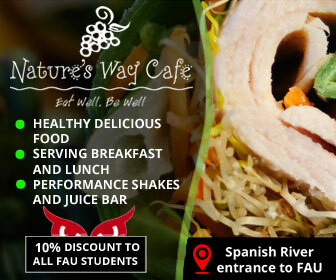 During the lunch FAU also announced its post-spring awards. Offensive coordinator Charlie Weis named Guards B.J. Etienne and Nick Weber, running backs Gerald Hearns and Kerrith White, wide receiver Dante Cousart and tight end Jaocb Wilson the most improved offensive players. On the defensive side, Tony Pecoraro selected defensive ends Tim Bonner and Ernest Bagner, and linebackers Khantrell Burden and Andrew Soroh among his most improved. Running backs coach Kevin Smith, head coach of the Red team, named the second string offensive line – comprised of Ean Biancardi, Jake Jones, Jared Nourse, Nick Weber and Robert Hawkins – the spring game MVP. Weis, coach of the White team, named all defensive players as his game MVPs – defensive end Ernest Bagner, defensive tackle Steven Leggett and nickel Korel Smith. 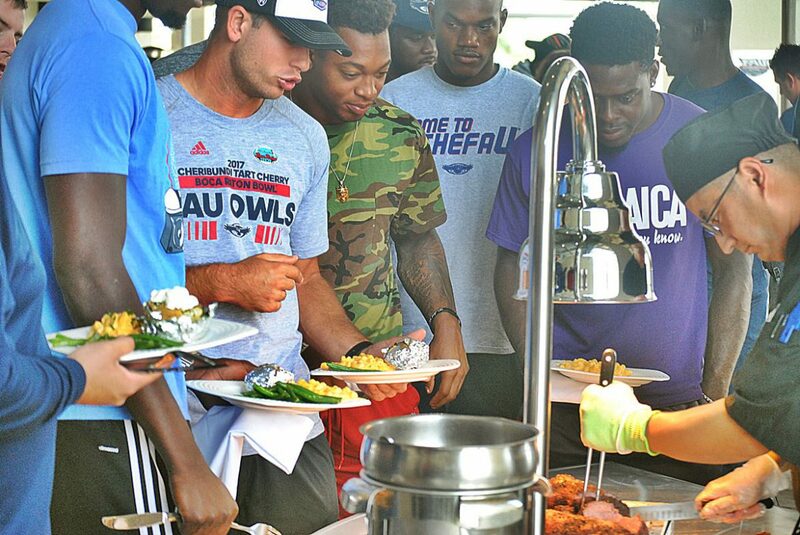 The Owls also honored their top walk-ons. Offensively, they were Hearns, Cousart and Weber. Defensively linebacker Hosea Barnwell and defensive linemen Daikwon Fuse stood out. 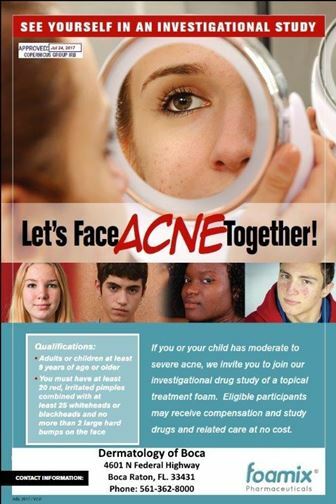 BOCA RATON – It’s time to get defensive. Fifteen practices are complete. 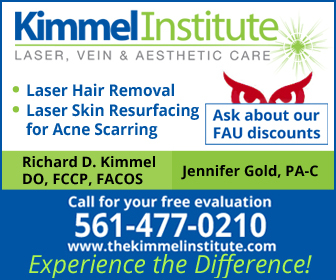 What did FAU learn about itself over the past five weeks? On Monday our Chuck King and Wajih Al Baroudi examined what we learned about the offense. Today our attention turns to the other side of the ball. WHAT DO WE KNOW IS REAL? King: FAU will blitz. And it will blitz again. And then it will blitz some more. New defensive coordinator Tony Pecoraro’s scheme is aggressive, and the players have taken to it well. A veteran unit that returns 10 starters, FAU boasts plenty of experienced playmakers. In linebacker Azeez Al-Shaair and safety Jalen Young the Owls have captains who will ensure everyone is positioned properly and playing in unison. Should be fun to watch. Al Baroudi: Defensive line depth. Ernest Bagner and Charles Cameron may be on the second-team but they have been as or more productive than the starters. The ability to rotate two-deep will keep the defensive linemen fresh while opposing offensive lines will be worn down late in games. King: Blitzing leaves the back end of the defense vulnerable to explosive plays. Three times on Saturday Willie Wright found himself beyond the secondary. Had De’Andre Johnson connected on a couple of those passes, the White team would be eating steak today. 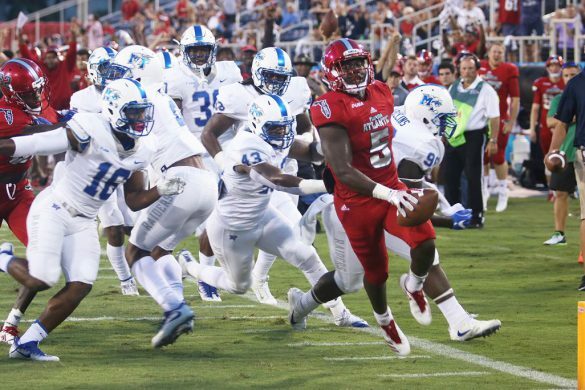 Is Conference USA All-Freshman selection Willie Wright a unique talent who is that difficult to cover or will the better offenses be able to exploit FAU’s defense with deep passes? Al Baroudi: The cornerback rotation. Converted safety James Pierre had a phenomenal spring, harassing receivers with his 6-foot-2 frame and giving them little breathing room on passes down the field. With starters Chris Tooley and Shelton Lewis still in the fold, Pecoraro will have a challenge on his hands in deciding how to divvy the snaps at that position. WHAT WILL PROVE TO BE A MIRAGE? King: The lack of Interceptions. 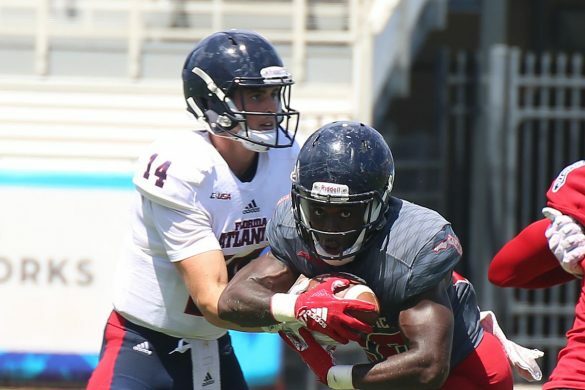 FAU’s defense set the tone for a season of takeaways during fall camp last year, when defensive backs grabbed interceptions by the handfuls. The defense still made plays on the ball and did intercept two passes in the spring game, but neither of those picks were snagged by a player on the two-deep. Still. 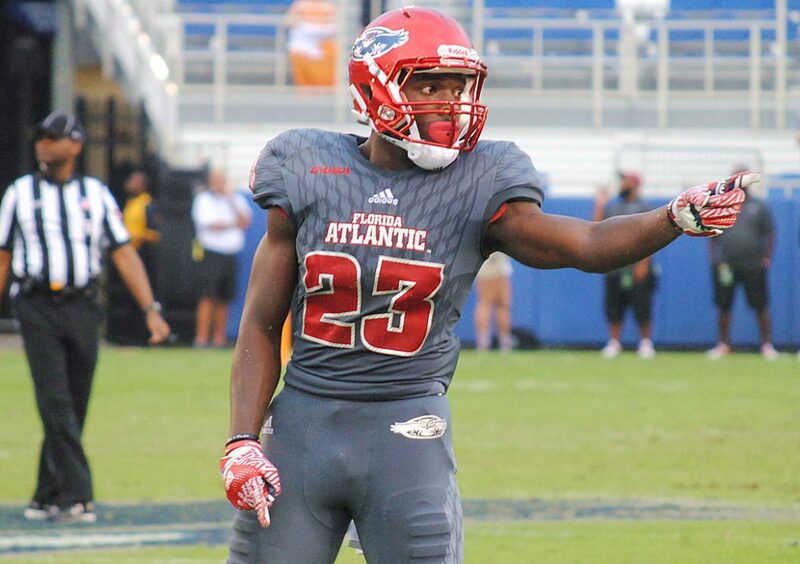 FAU returns its entire secondary from a team that finished tied for second nationally in interceptions last season. The Owls should be even better at pressuring opposing quarterbacks, which could produce even more interceptions come the fall. Al Baroudi: Quran Hafiz as a starter. Hafiz finished the spring strong, displaying range in coverage and big-hitting ability in place of Jalen Young who battled through a nagging injury. Despite Hafiz’s success with the first-team he will head to a reserve role if Young is available. FAU, however, will find a way to ensure Hafiz contributes. 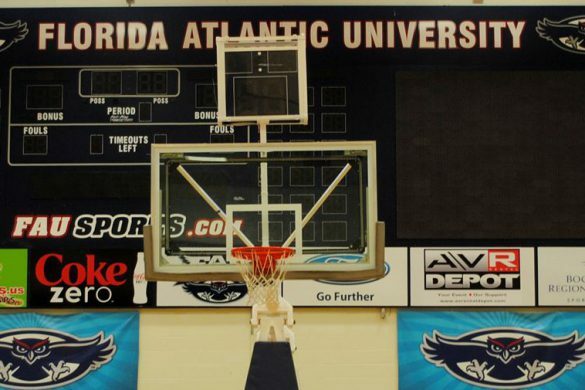 WHAT IS FAU’S BIGGEST NEED? King: Maybe playing time? Andrew Soroh showed well in his move from safety to linebacker, but he’ll be blocked once Al-Shaair returns to full contact in the fall. Defensive end Ernest Bagner and defensive tackle Charles Cameron were two of the defense’s best performers this spring, yet they remained on the second team. James Pierre has the look of a potential star at corner, but Shelton Lewis and Chris Tooley ahead of him are proven winners. Does Zyon Gilbert or Ocie Rose play at free safety? Juggling playing time could be Pecoraro’s biggest challenge. There aren’t many holes in this defense at the moment. Al Baroudi: Staying healthy. Along with Young working through an injury, Azeez Al-Shaair missed the entire spring recovering from offseason elbow surgery. The FAU defense has been lights-out all spring but to reach it’s peak it needs those standout seniors on the field in the fall.